The sun was out for a bit when I photographed this 10″ x 10″ trivet. 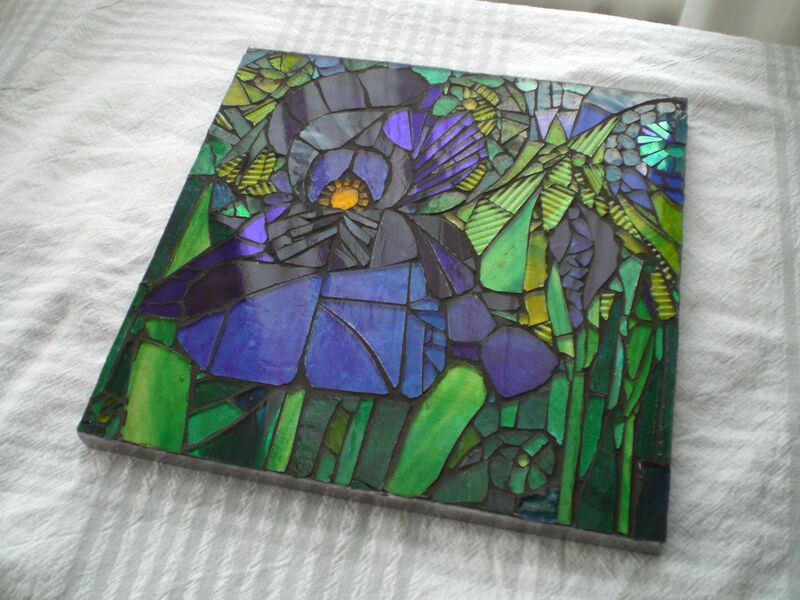 This was another commission, and the birthday recipient I was told loves irises and the colour purple. Well, say no more. 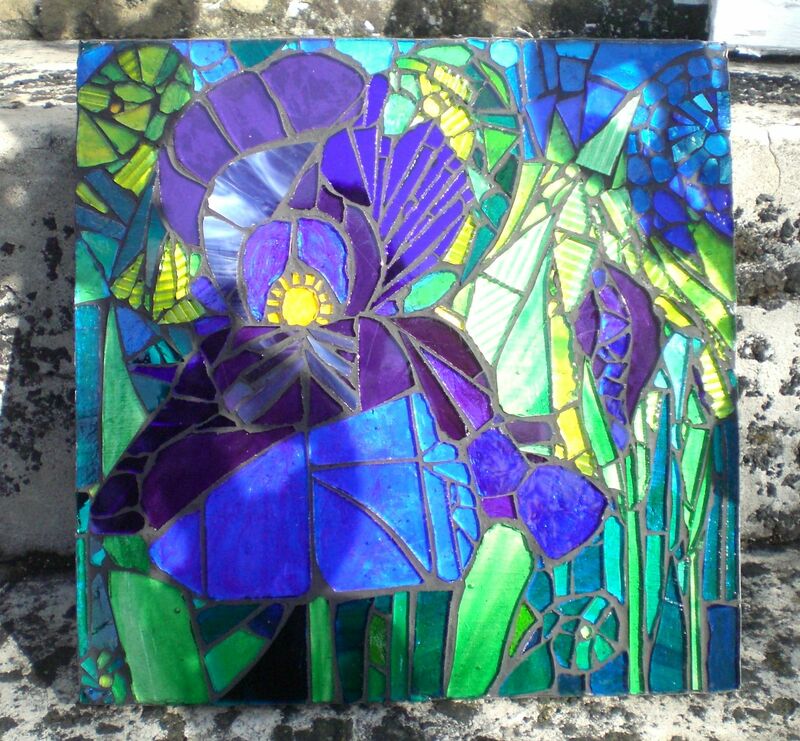 I looked at Tiffany for inspiration for this one and though that was a bit un-nerving due to his immense mosaic talent (and immense mosaics – we’re talking whole walls), I took a deep breath and balanced large pieces of glass with small detail and purples with yellow greens to bring out the colours. 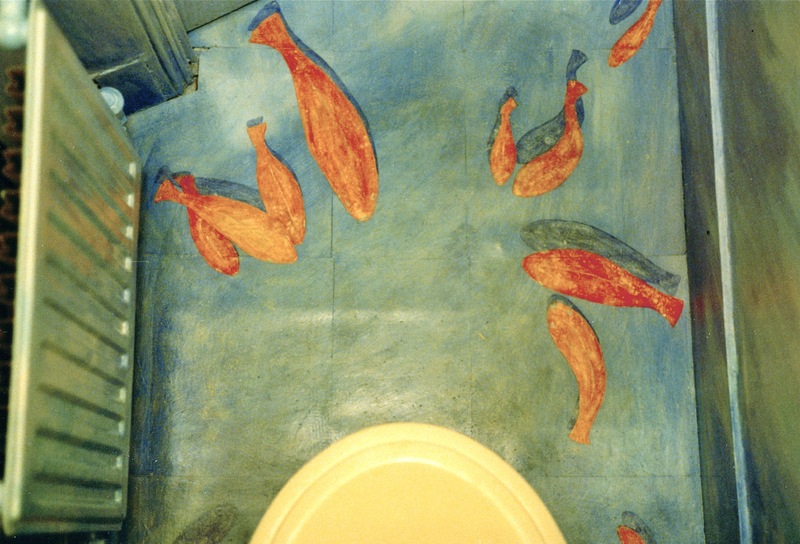 You can put a hot pan on it, but you know – I sort of hope this one ends up on a wall.